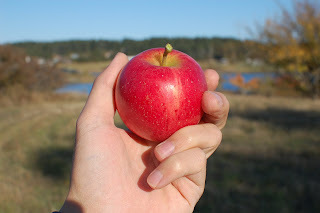 There is no greater fall pleasure than going for a walk or a hike, and unexpectedly coming across an abandoned orchard. Apples and pears continue to bear fruit well beyond the lifetime of the homesteaders who originally planted them. It's a little taste of the past!